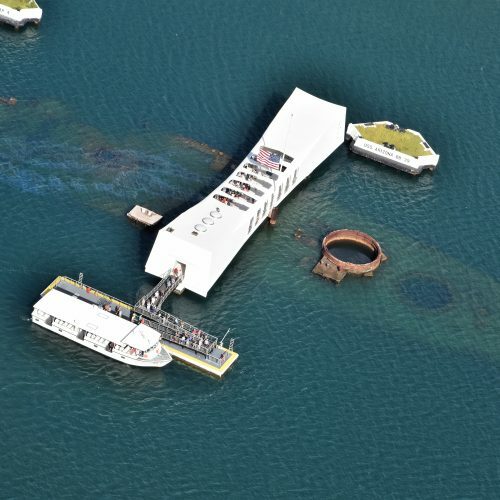 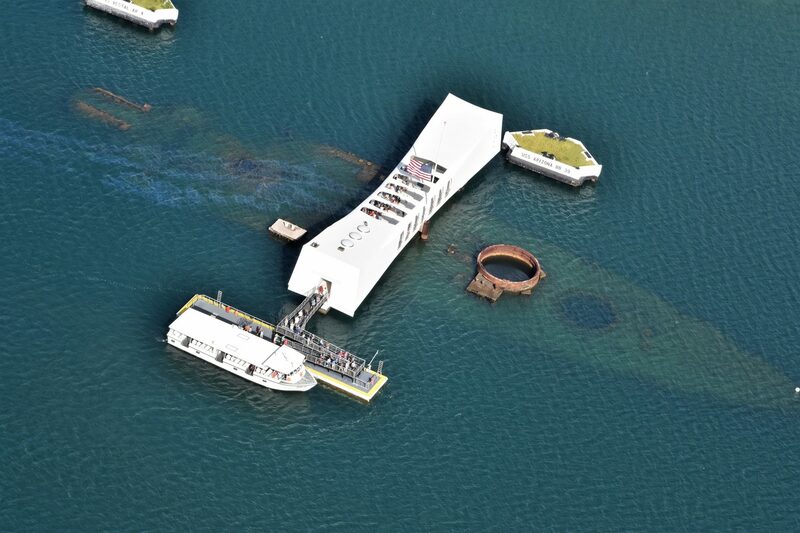 The The USS Arizona memorial is built over the remains of the sunken battleship USS Arizona, the final resting place for many of the 1,177-crew members who died during the worst naval disaster in American history. 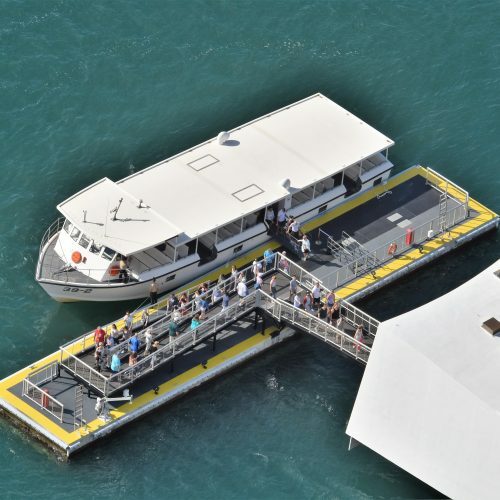 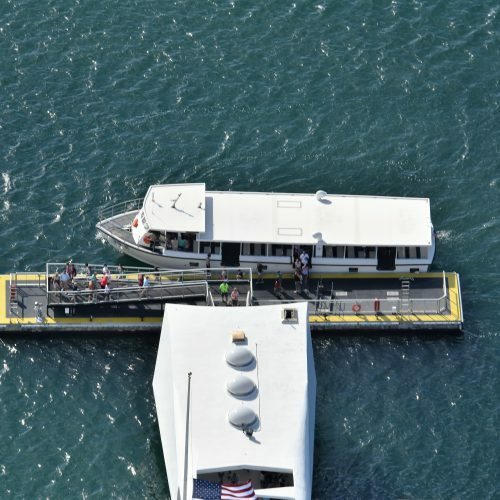 A passenger ferry takes visitors out to the memorial. 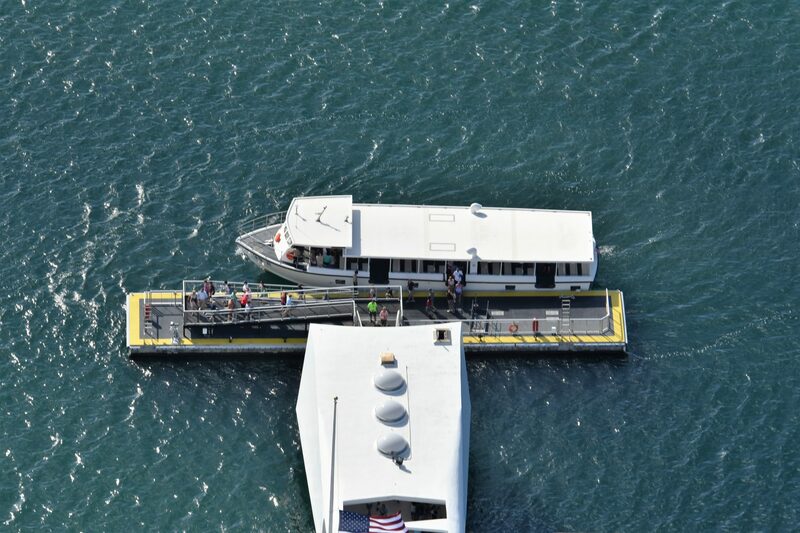 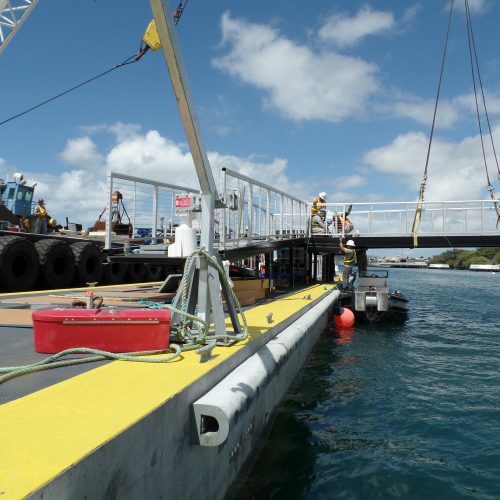 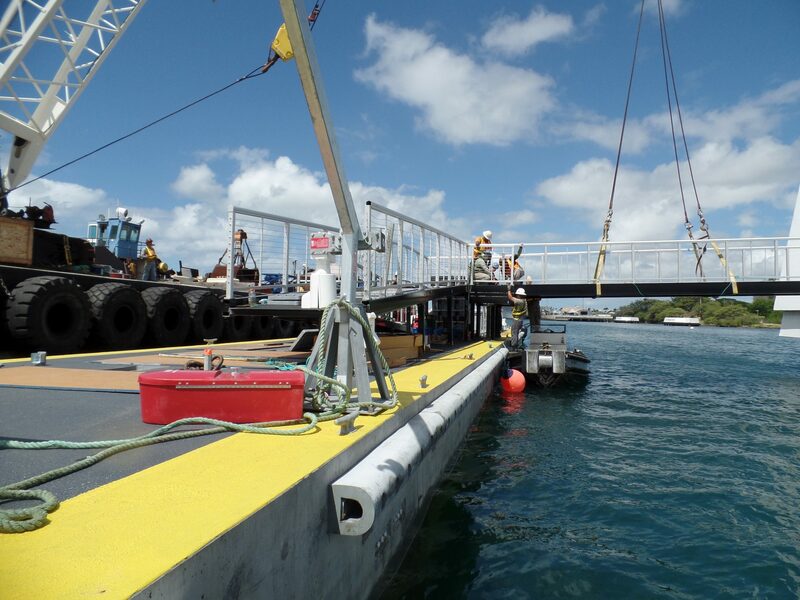 A floating landing dock greets visitors before stepping into the memorial. 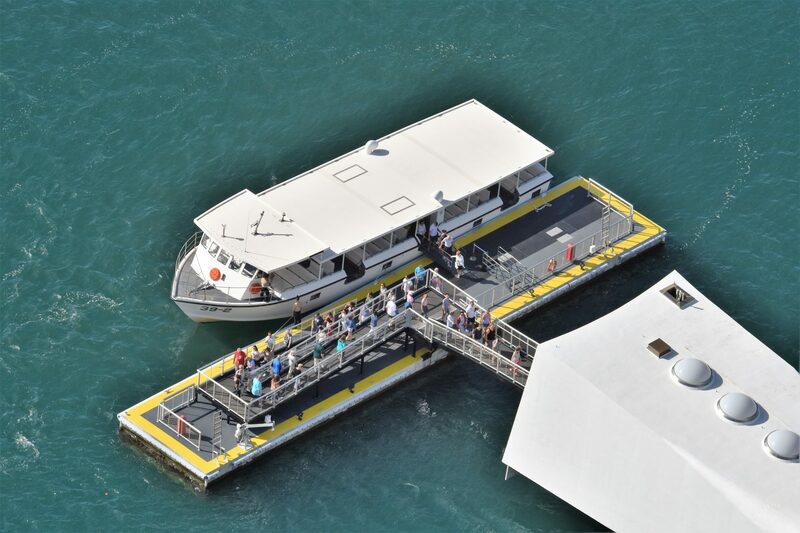 Located in the middle of the Pacific Ocean, 3,000 miles from the West Coast of the U.S., the USS Arizona Memorial is a historic must-see destination for visitors.